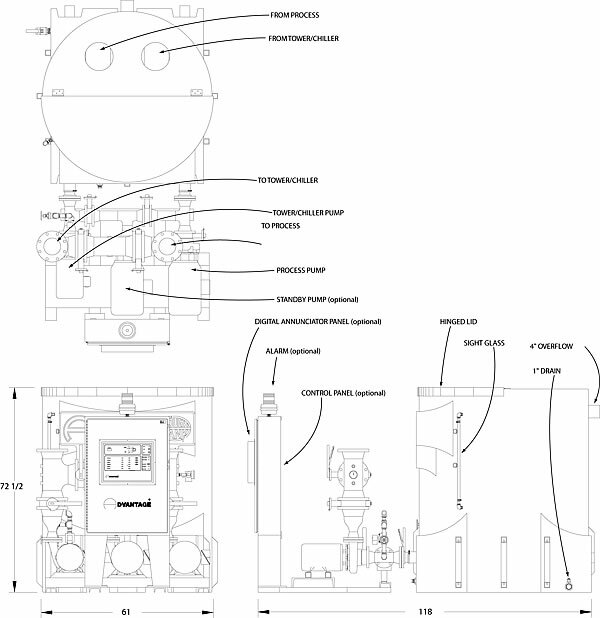 Note: typical TTK-850 Tough Tank Series pump tank station is shown with 3 recirculation pumps (process, tower/evaporator, standby). Actual dimensions may vary based on specific pump selections. For more information about Pump Tank Stations and Pumping Systems all the Advantage Sales Department at 317-887-0729. Would you like to Download FYI #236 to your browser?